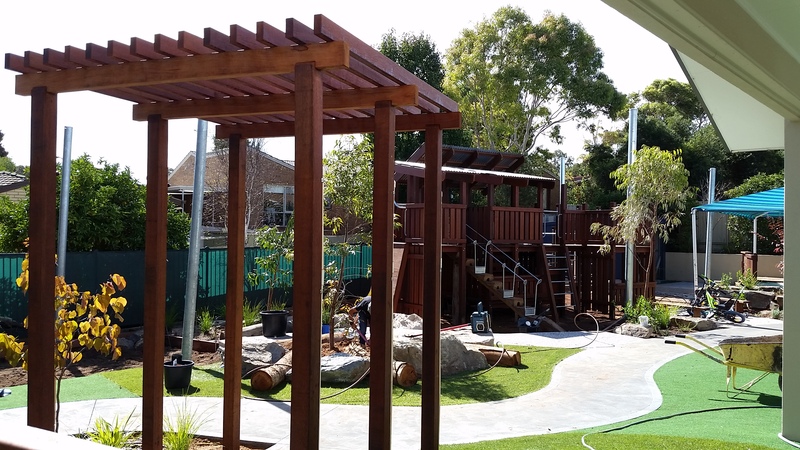 Spotted gum– 2-8 weeks supply time depending on grade required. Historically used for structural purposes due to it’s high strength rating and durability. Not recommended for joinery- bench-tops, handrails, stairs, windows, doors etc, due to high shrinkage and tendency to twist, bow and crack. 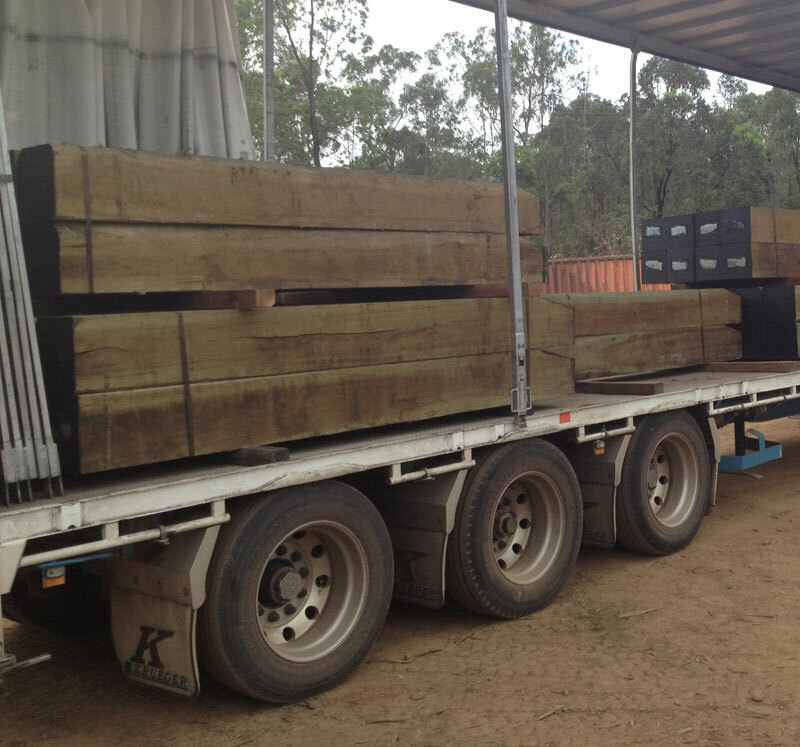 Blackbutt– 2-8 weeks supply time depending on grade required. 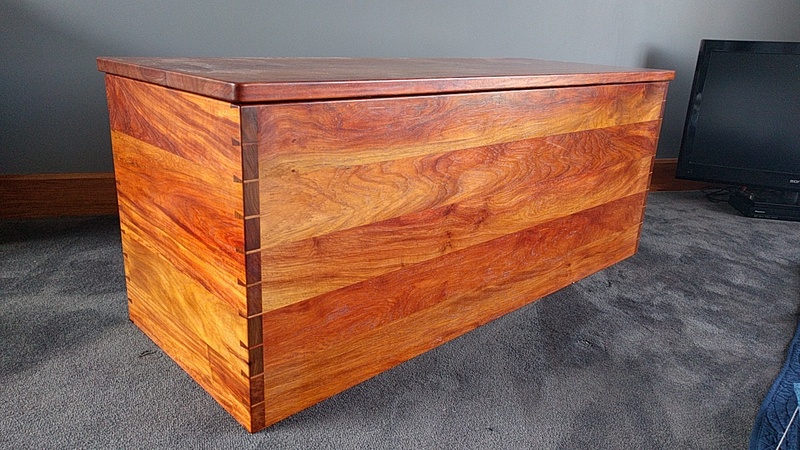 Suitable, superior stability and colour substitute for joinery- PNG Rosewood select grade. class 1. Durability a/g. Ironbark– 3-8 weeks supply time depending on grade required. Available Unseasoned f17 or f14. Suitable, superior substitute for joinery- PNG Rosewood select grade. class 1. Durability a/g. or Merbau f27 select grade- for joinery or structural. 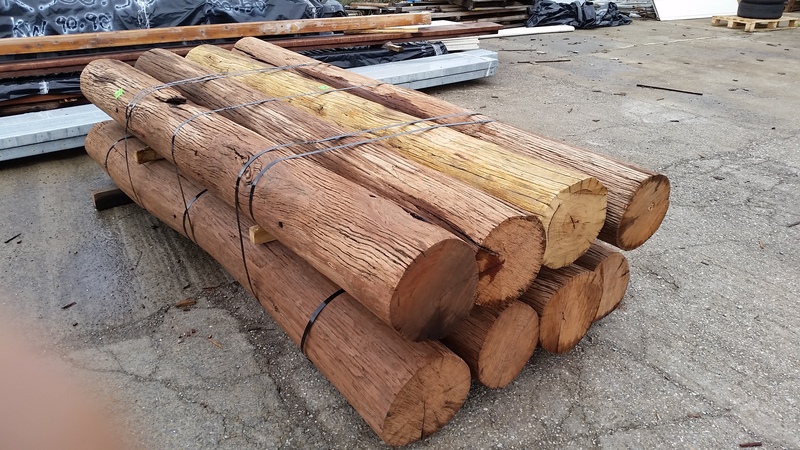 Historically used for structural purposes, flooring, joinery and fencing due to it’s availability (back-loaded to Adelaide) and class 2. durability i/g. Available unseasoned and in some sections k/d or a/d. Historically used for structural purposes, shed rails and fencing rails due to it’s availability in long lengths and high structural strength (f17) and class 2. durability i/g. Not recommended for posts or large sections due to very high shrinkage- 12% radial. Historically used for joinery, skirtings etc. Should be used for heritage restorations instead of imported western red cedar. Merbau (PNG Kwila) Stocked in most sections. 7-10 working days from order if not in stock. Used for structural and joinery purposes due to it’s high strength rating , stability and durability. Recommended for all joinery- bench-tops, handrails, stairs, windows, doors, decking, structural posts- beams etc. Traditionally used for joinery but recently used externally due to it’s stability and class 1. durability a/g. Recommended for joinery- bench-tops, handrails, stairs, windows, doors, decking, flooring, beams etc.Available a/d or k/d . Stocked in most sections. 7-10 working days from order if not in stock. Planted by the British Army after WW2. Available from us seasoned 10 years 100x25 150x25 200x25 150x50 and some smaller sections. All 1.8m lengths. Used for structural purposes due to it’s high strength rating and class 2. a/g and i/g durability. Seasons to f27 -f34. Structural grade, Unseasoned f17 . Very affordable and suitable for substructure with low shrinkage. Shrinkage is low- 2% radial. Class 1. durability above ground- in Zone B and Zone C. Class 2. Durability in ground- in Zone A and Zone B. –which covers southern South Australia. Native white cypress is not ecologically harvested. Cypress macrocarpa (golden cypress) is ecologically harvested, but is not as durable as Native white cypress. The marketing name Çypress’Gold’ is not cypress macrocarpa. When spanning using cypress beams, unseasoned cypress will sag under load, even under it’s own weight. Increasing section size in thickness will not help e.g going from 200x50 to 200x75mm. Cypress is a relatively small tree so increased the width/ depth may not be available e.g 250x50mm is rare in long lengths. Span tables– It is better to over- engineer when using f7 structurally graded unseasoned cypress due to potential sag– see above. . Timber fixing– Cypress is a dense softwood, so has to be treated like a hardwood when fixing. All screws and nails need to be pre-drilled, and bolt holes drilled oversize to allow for expansion/ contraction. The sapwood is not durable. So long as it is regularly maintained with penetrating, anti -mould, anti-fungal oils, sapwood in some applications, can last indefinitely. There is no minimum or maximum amount of sapwood allowed for in the grading. Boards lose their volume when the sapwood degrades, and therefore possibly lose the f7 grade over a short span of years. For in-ground applications it is recommended that all sapwood be removed below ground level. Exposed docked ends should be coated with Log end sealer to reduce splitting. Post faces should have penetrants applied to slow moisture loss and reduce checking. Timber ‘Wane’ Is common and is part of the rustic character when choosing the white cypress species. When the sapwood degrades, most posts will have wane. Acclimatizing- Cypress seasoned relatively quickly and is a relatively stable species if installed between late Autumn and early spring. 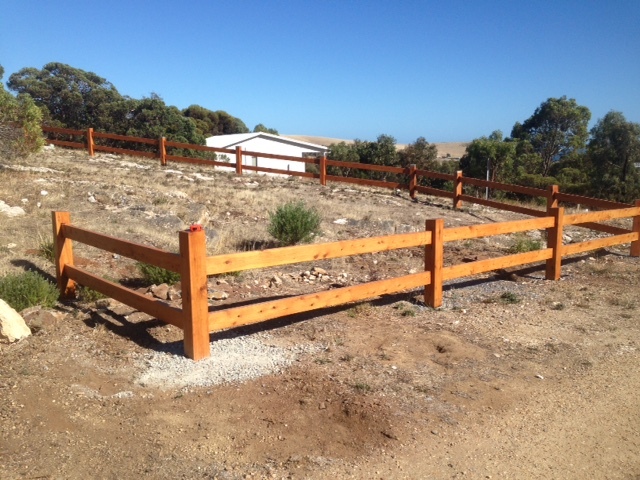 All cut ends should be sealed with Caltex log end sealer to reduce cracking and board/post faces, ideally, deep treated. This species can be installed in the warmer months with a lot of care. The result just will not be as good. Joinery- Cypress is not suitable for joinery unless it has been correctly seasoned to 10-12% moisture content.Allow for at least 50% waste for selection after seasoning, due to the cracking, bowing and loose knots. Seasoned supply is generally not available. Lead time- Some post sections are often in stock at the mill and available within 3-5 working days. Lead times are extending out to 6-8 weeks or longer as mills cannot keep up with demand. This year most cypress mills will stop taking orders mid- September. Orders placed after this time may start being processed late January.